Although this blog is primarily about bookish things, I do actually have interests outside of books (shock horror!) 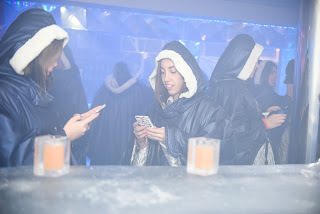 And back in January I had the pleasure of getting to go to IceBar London and experience a cocktail in sub zero temperatures. This was of course all thanks to Lauren from Blonde Vision and brains behind LDNMeetup and of course Tom, Head of Sales and Marketing of IceBar London. After leaving work a little earlier than normal, I headed up to London for a 6pm meetup. It was really easy to get to, in-between Picaddily Circus and Oxford Circus, so perfect London location. When a number of us has suitably gathered, we were soon shown in and given a coloured wrist band as we went. We were shown into a lovely bar area where we were given our first cocktail and plied with very nice canapés. I was starving so these went down very well. It was also a chance to network with other bloggers and have some general chit chat. During this time we were introduced to Tom from IceBar London, who really understood and 'got' bloggers whether they are big or small, which was so refreshing to hear. Then it was time for the main event. This was my first time in an ice bar, although that is not to say I had not heard about them. I had certainly seen the attire that we all needed to wear and this blue thermal cape with gloves was the first thing that went on before we were shown into the ice bar area. We were greeted by a blue haze and temperatures of -5 degrees to ensure that the ice really does stay ice. Yes it was safe to say it was quite chilly in there, so even though you get the thermal capes, I would definitely still suggest you wrap up warm. It felt like we were stepping into some kind of wonderland with all these amazing ice sculptures and a whole bar made of ice. What I found the most fun experience though was drinking a VERY nice tasting cocktail out of a glass of ice. I can safely say that this was my most favourite bit out of the whole experience. Something small but, honestly this just felt like such a unique experience and wish all cocktails were served like this, I swear it made the cocktail taste even better. After about a 20 minute stint (usually 40 minutes) I was well and truly chilled, so despite the wonderfulness of the Ice Bar, I was quite happy to get warm again. It is safe to say though that I had a brilliant time of what was a very unique experience and that ice cocktail will definitely be staying with me in wonderful memory. 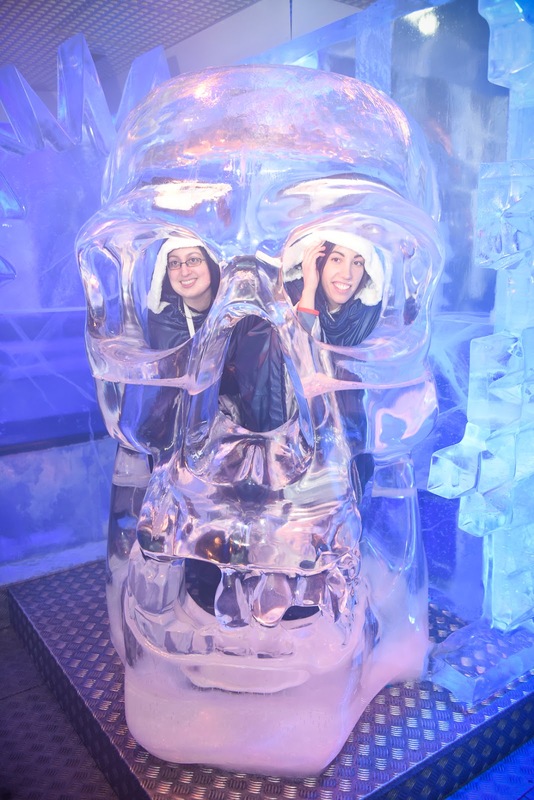 A huge thanks to IceBar London and LDNmeetup for this wonderful experience. new to everything. Do you have any tips and hints for beginner blog writers?